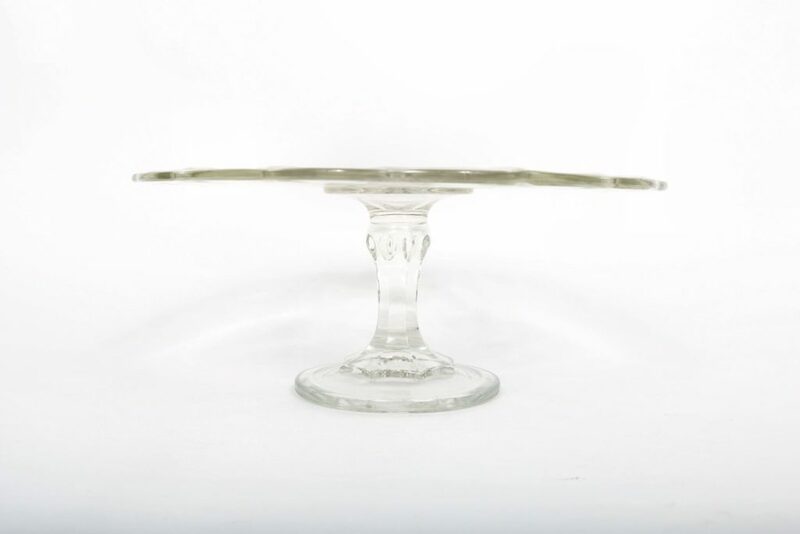 This is a circular glass cake stand. The stand is supported by a single central pillar. 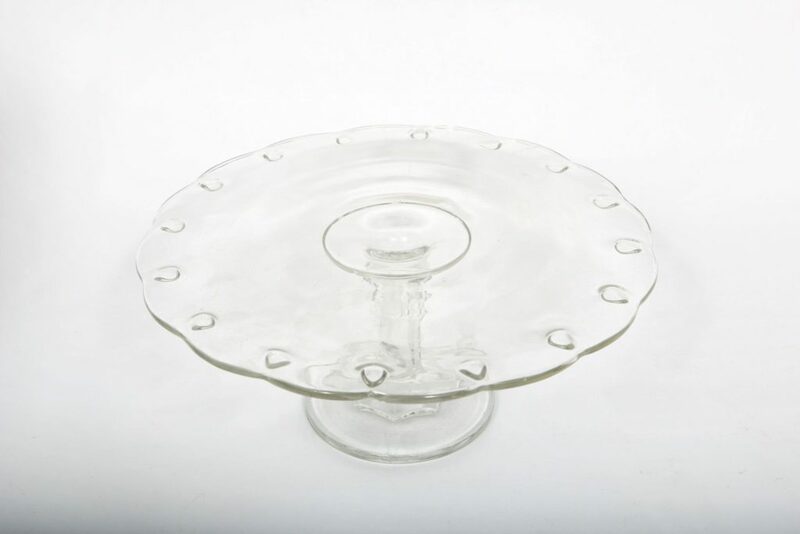 The stand itself is decorated around the rim by glass tear-drop shapes fixed to the underside of the stand. The rim has a regular rippled appearance. A seam runs through the centre of the circular top of the stand, dividing it into two semi-circular halves. This stand is for the display and serving of cakes and other foods. This may have been part of Jessie Donalda Dunlap’s tea service, which may have been used in the “Founder’s Room” of the observatory. Excellent: The stand appears to be in perfect condition.